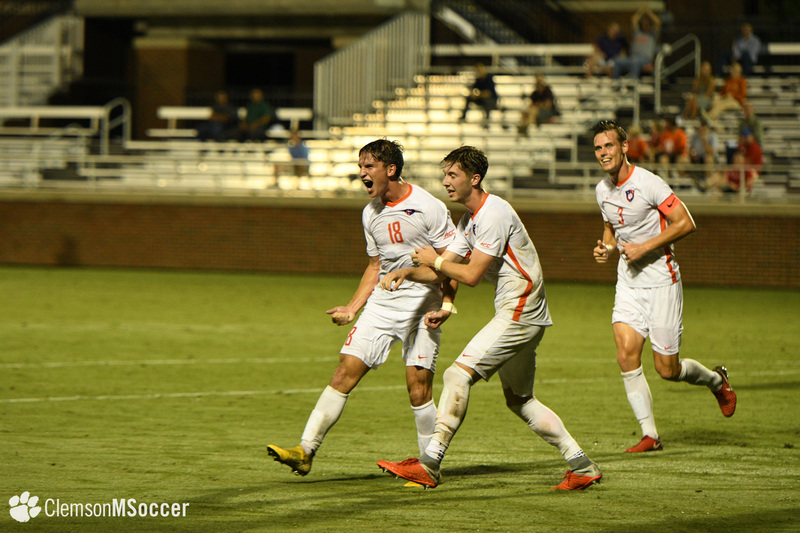 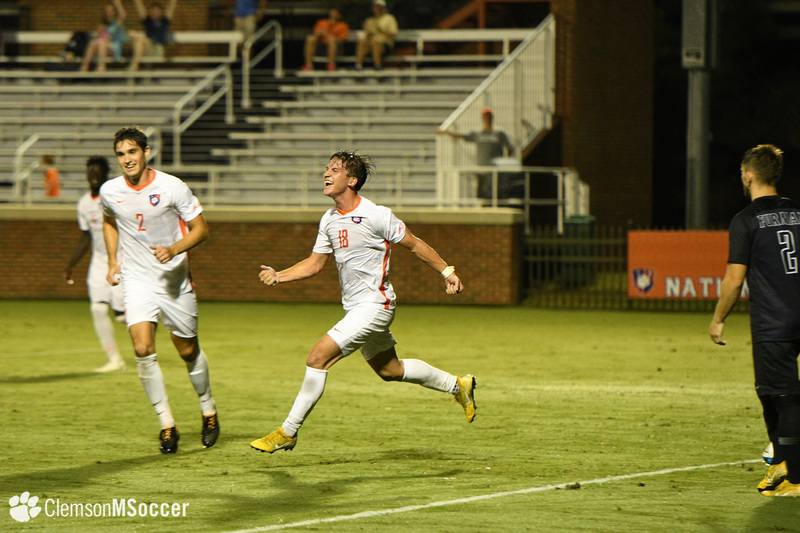 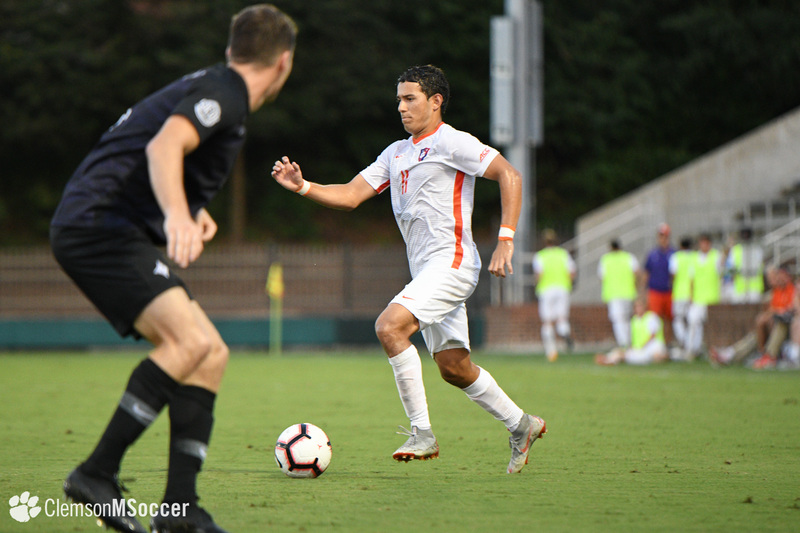 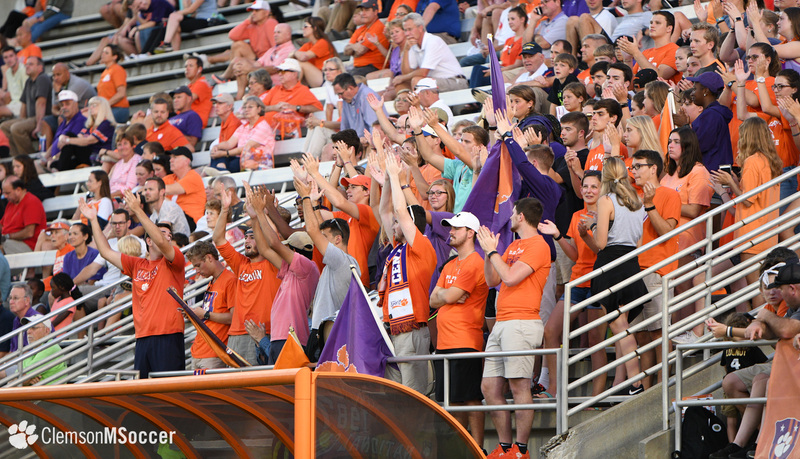 CLEMSON, S.C. – Adrian Nuñez netted a pair of goals and Quinn McNeill and Grayson Barber both found the back of the net for the first time in their Clemson careers as the Tigers defeated upstate foe Furman, 5-2, on Tuesday night at Historic Riggs Field. 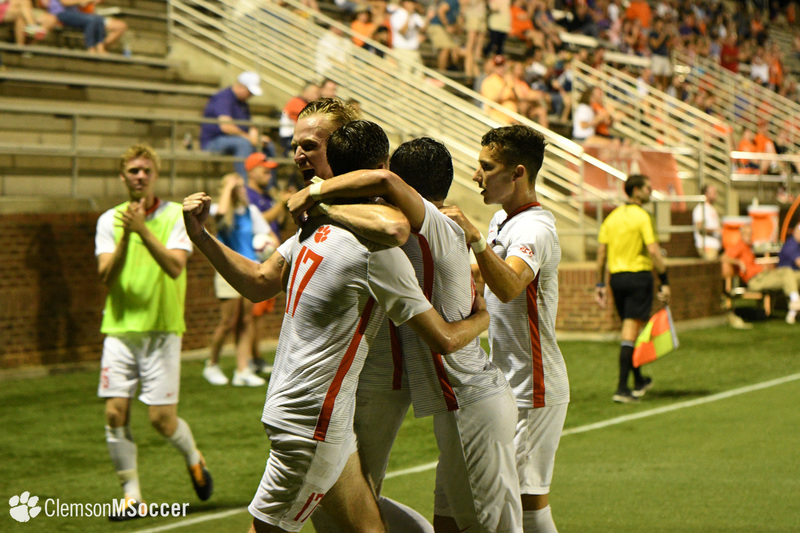 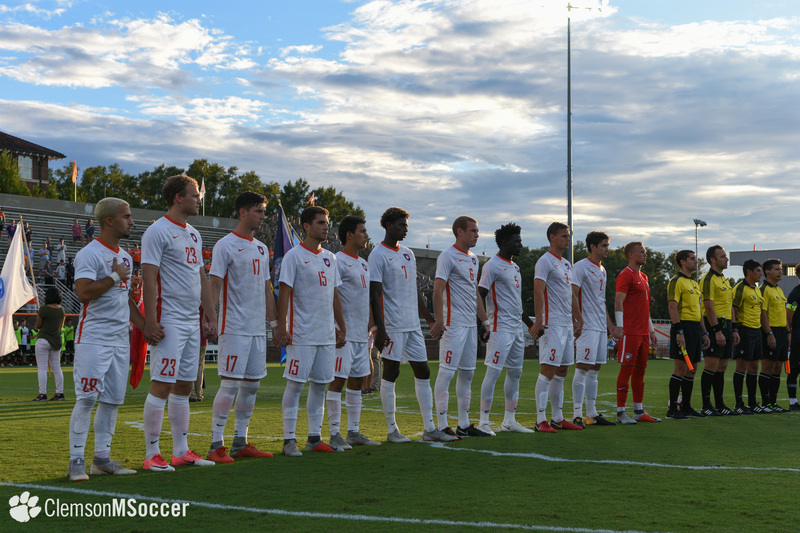 With the win, Clemson improved to 4-2-1 on the year, while Furman fell to 3-4-0. 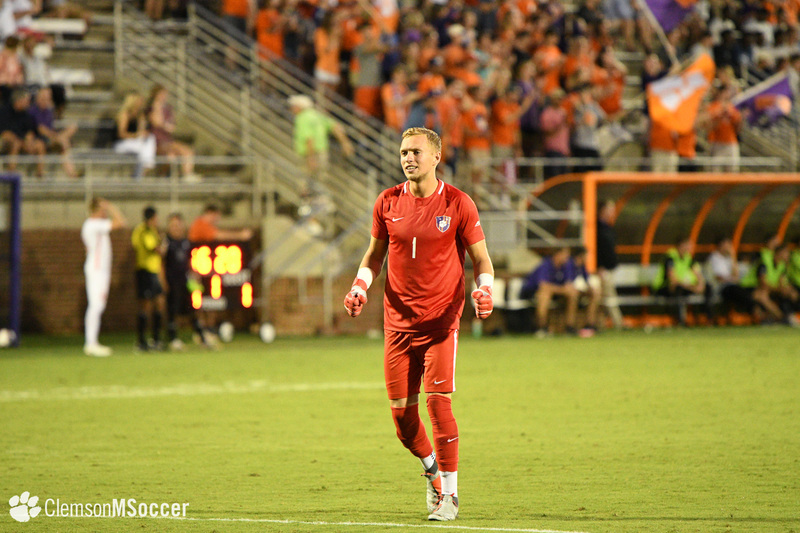 Furman took an early lead in the fifth minute after a Clemson foul in the box led to a penalty kick, which Laurence Wyke slotted just past the reach of Tiger keeper Jonny Sutherland. 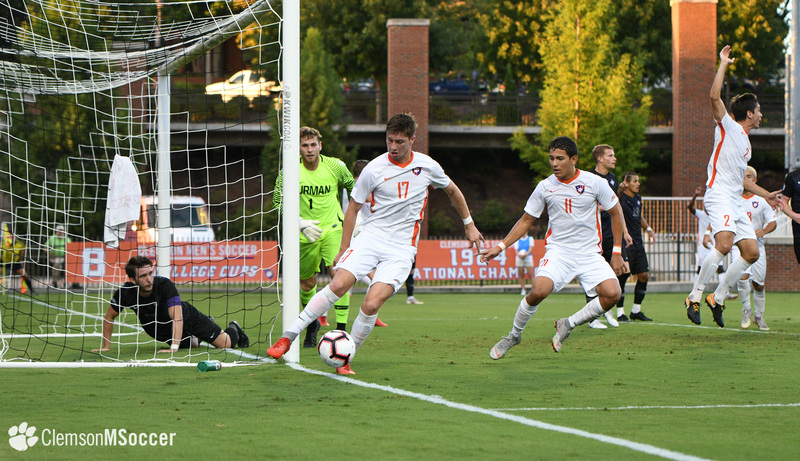 But Clemson quickly tied it up, when a Furman handball in the net led to a Tiger penalty kick that Tanner Dieterich capitalized on in the 11th minute. 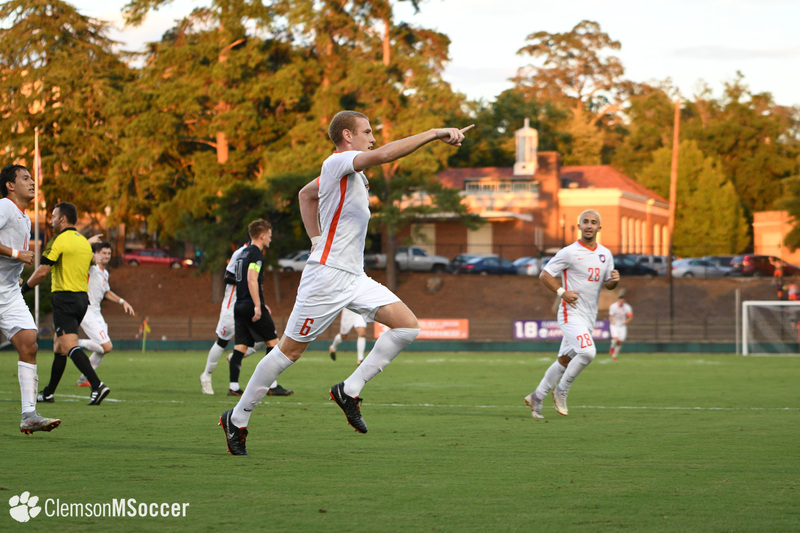 The handball also resulted in a Paladin red card, giving the Tigers a one-man advantage for the remainder of the match. 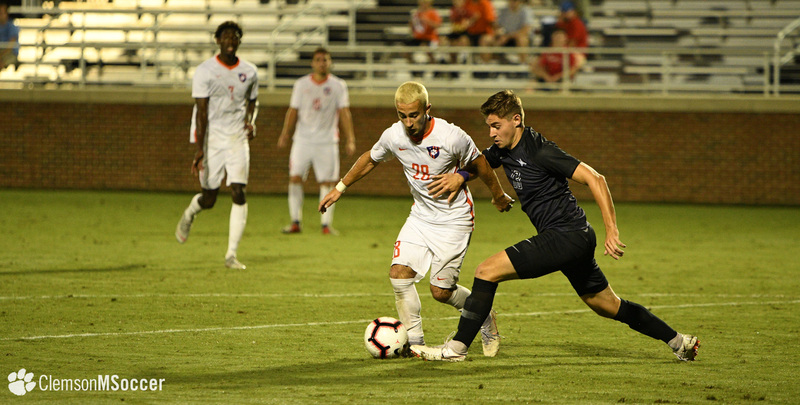 Clemson really broke through in the 26th minute, when Nate Hall dribbled down the left side and sent a sharp cross into the box and found the foot of Adrian Nuñez, who netted Hall’s first career assist to put the Tigers up 2-1. 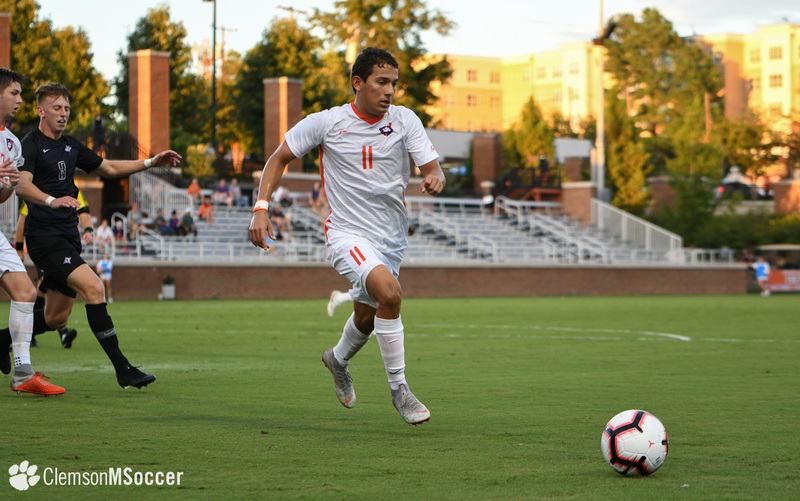 Three minutes later, Clemson earned another penalty kick after another Furman foul in the box, and this time it was Nuñez who took it and scored, giving Clemson a two-goal advantage on his second goal of the match. 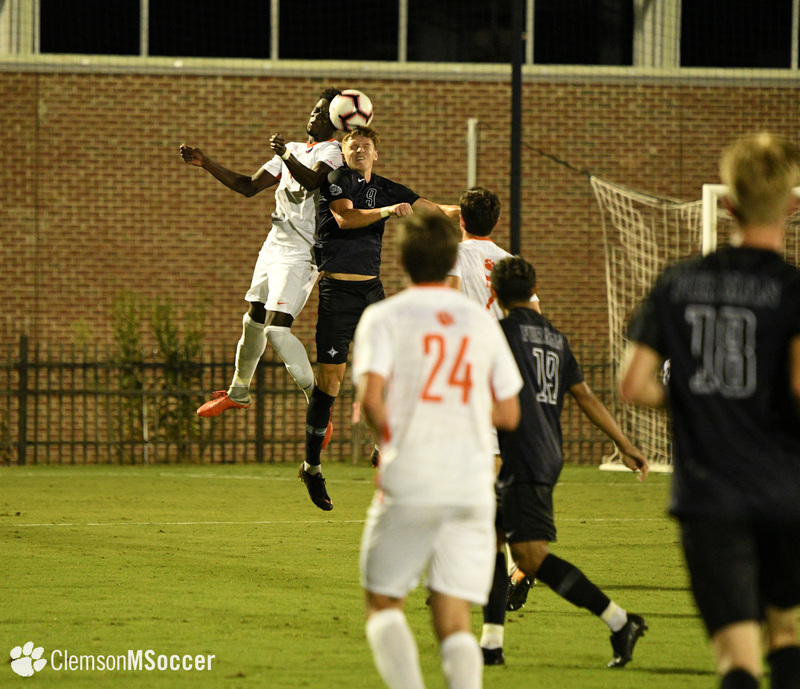 The Tigers held that 3-1 lead at the break. 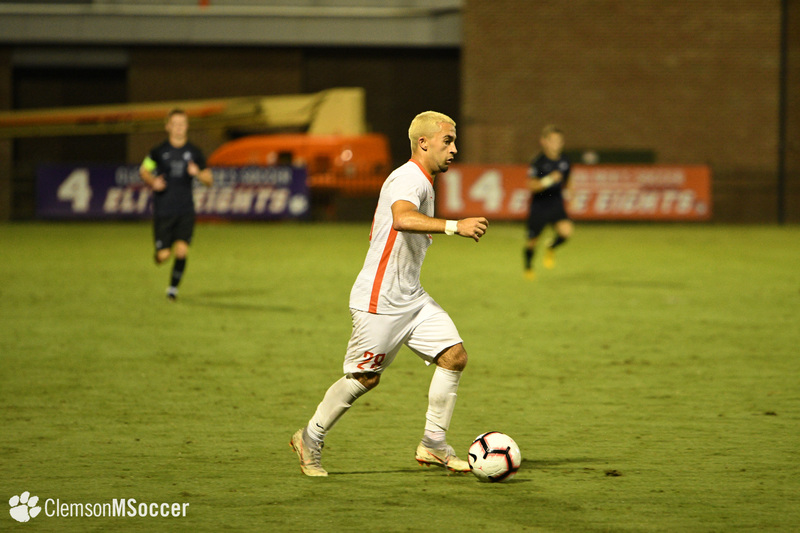 In the second half, a pair of first career goals just over a minute apart gave the Tigers a 5-1 lead, with the first coming in the 65th minute when Quinn McNeill netted a sliding shot from six yards out off a feed from Grayson Barber. 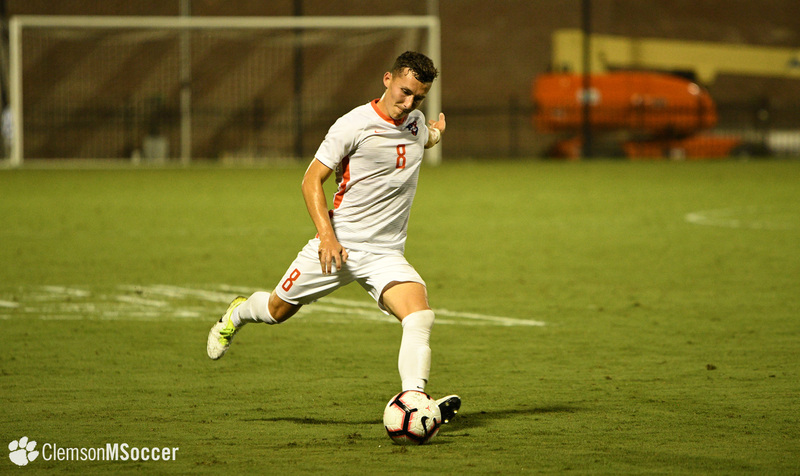 Johnny Heckman found Barber before the freshman connected with McNeill, so the senior was also credited with an assist. 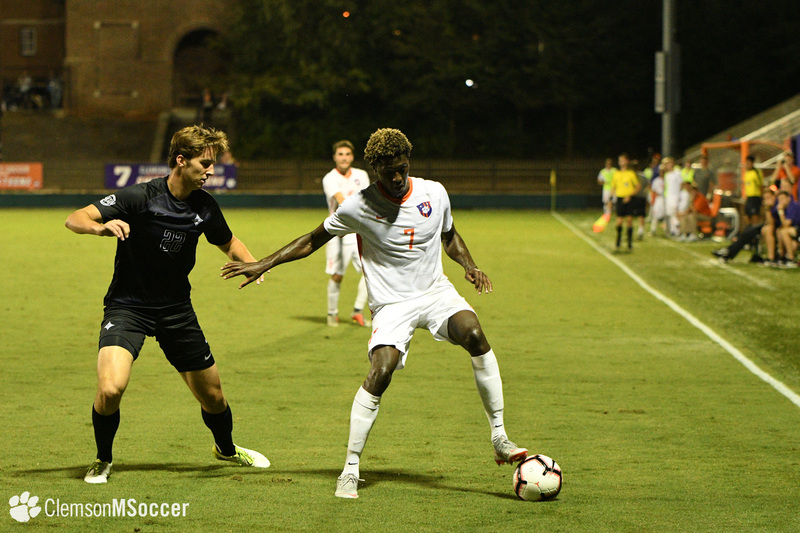 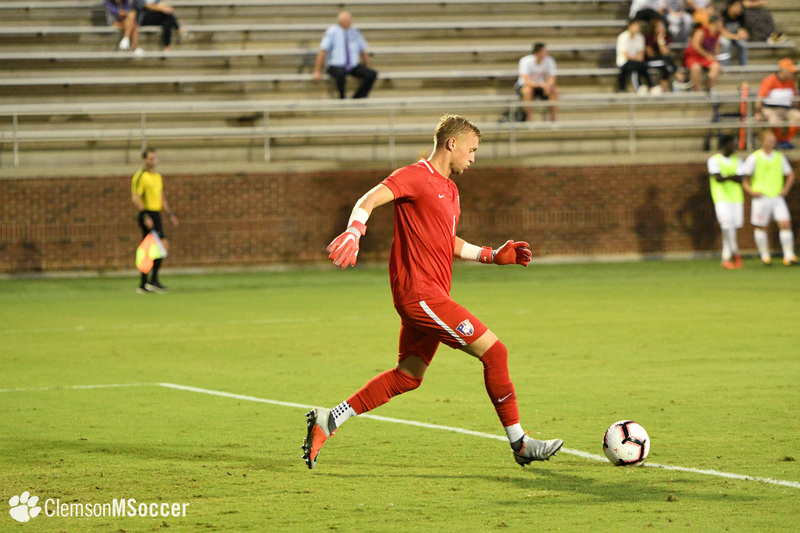 A minute and four seconds later, Barber scored his first goal as a Tiger when he directed an attempted save by the Paladin keeper into the back of the net. 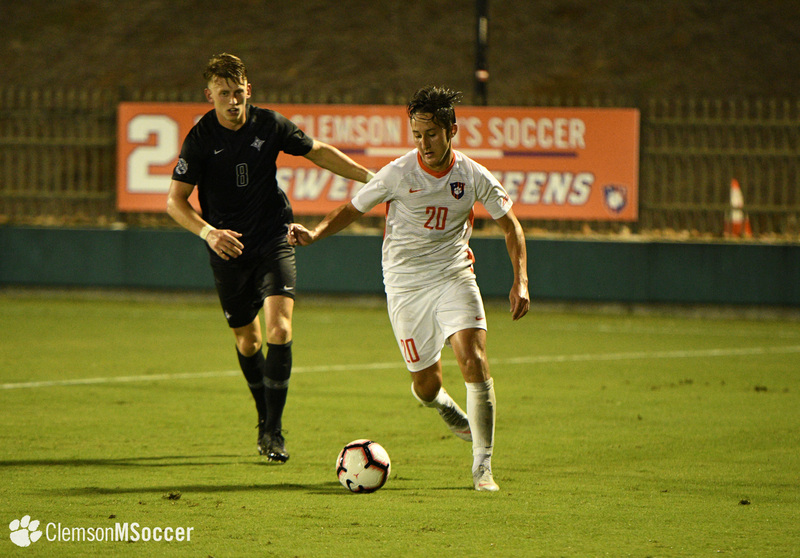 The Paladins netted a late goal with five minutes remaining in the matchup when Jacob Garzon fired a shot from 20 yards out that slipped past Clemson keeper Nolan Lennon, who entered the game in place of Sutherland in the 77th minute. 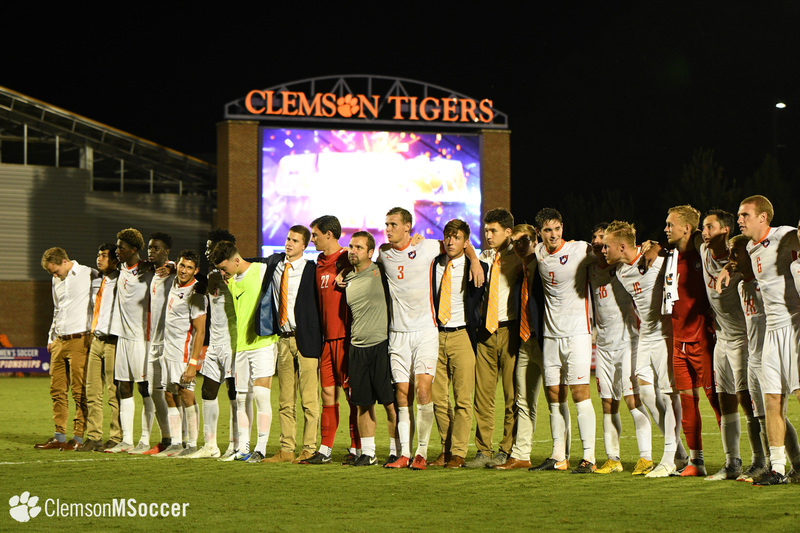 The Tigers return to action on Friday when they host No. 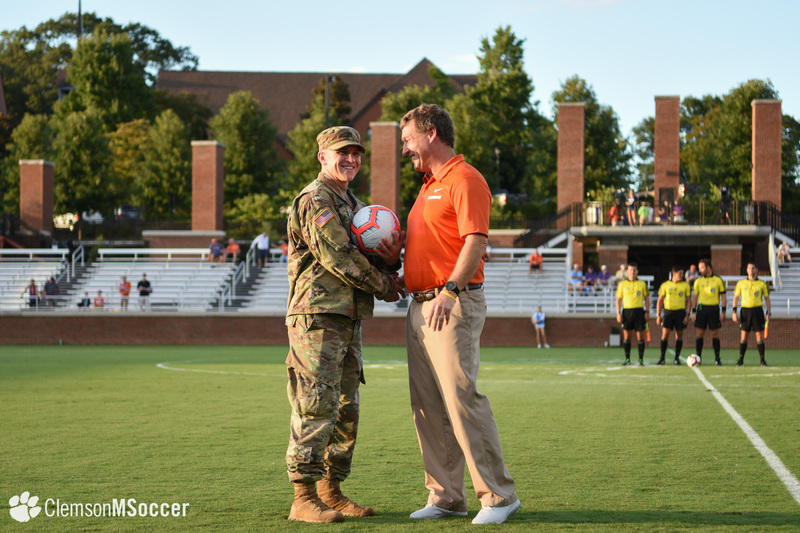 1 Wake Forest at Historic Riggs Field. 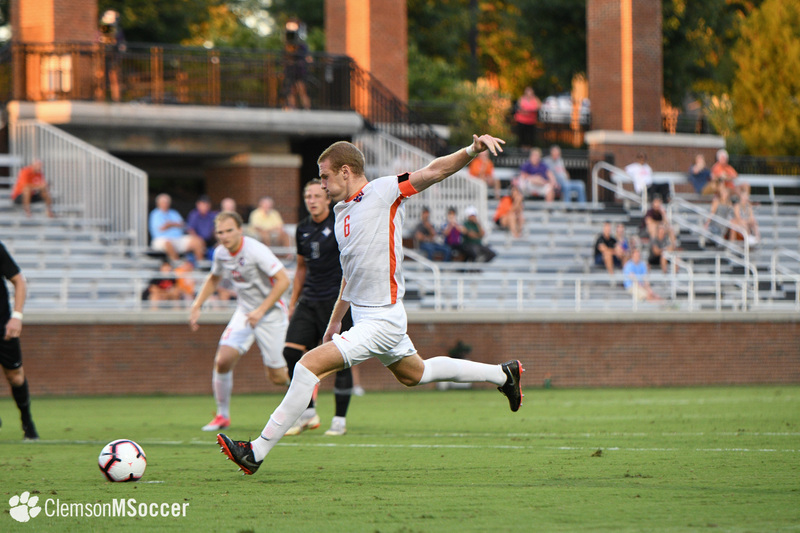 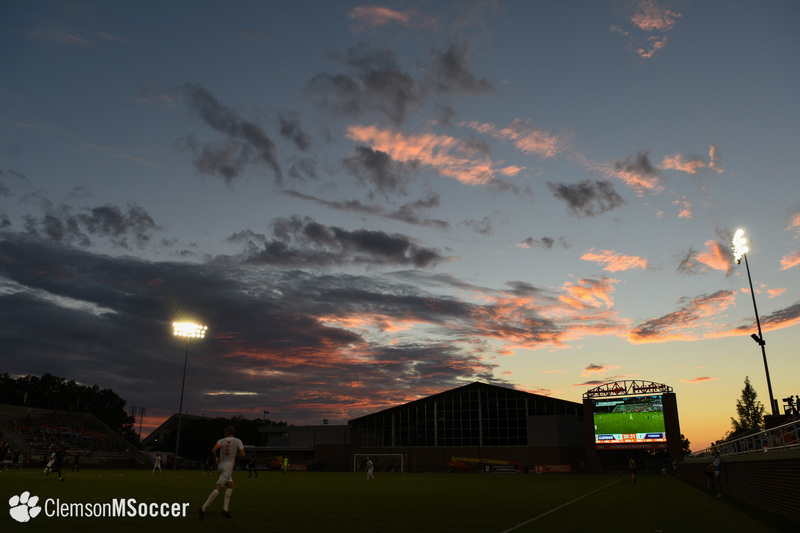 Kickoff is set for 8 p.m., and the match will be televised on RSN. 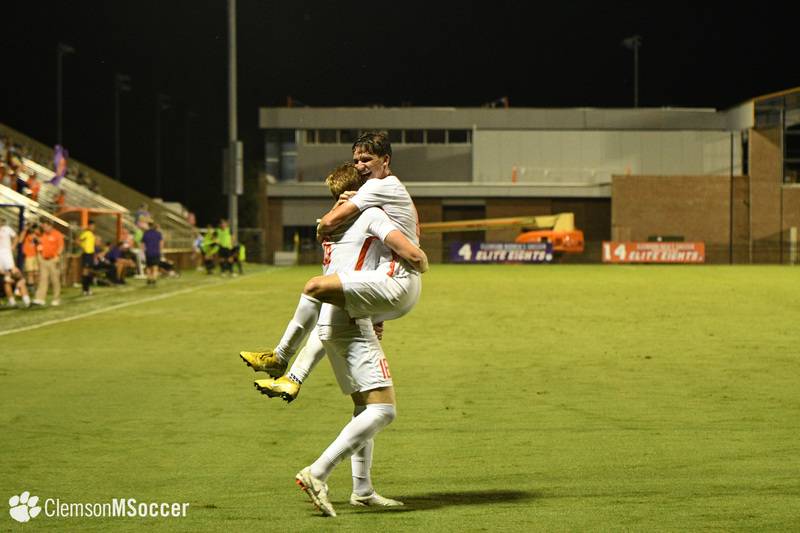 Photos by Jessica Jones, Clemson Athletic Communications.